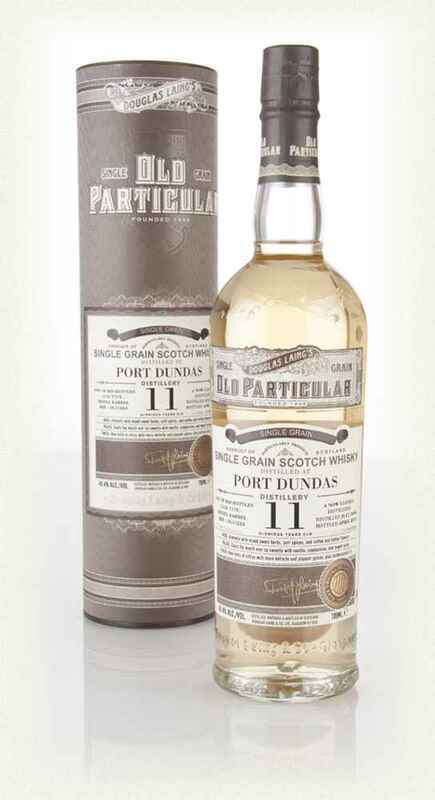 From Douglas Laing comes this refill barrel with the cask number DL 11224. Only 840 bottles were made. So pale you might think it is water at first! But what does that matter, when a burst of flavours is the first that hits your nose? It is very fresh and the alcohol tickles your nose. Some white fruits and pear sweetness. Very floral in the taste. Lavender, apples, pears and candy sweetness. The oak is present, but in the background. It turns very sweet in the finish. The candy sweetness is accompanied by burned sugar and loads of vanilla. Burned oak is there as well, very well mixed with the sweetness. At this price it is quite impressive. It delivers the sweetness you normally get in old grain whiskies. I would be a bit careful if floral whiskies wasn’t me. It is quite present in the taste, but already in the finish, it is almost gone. I will give this 83/100 (20/20/22/21).